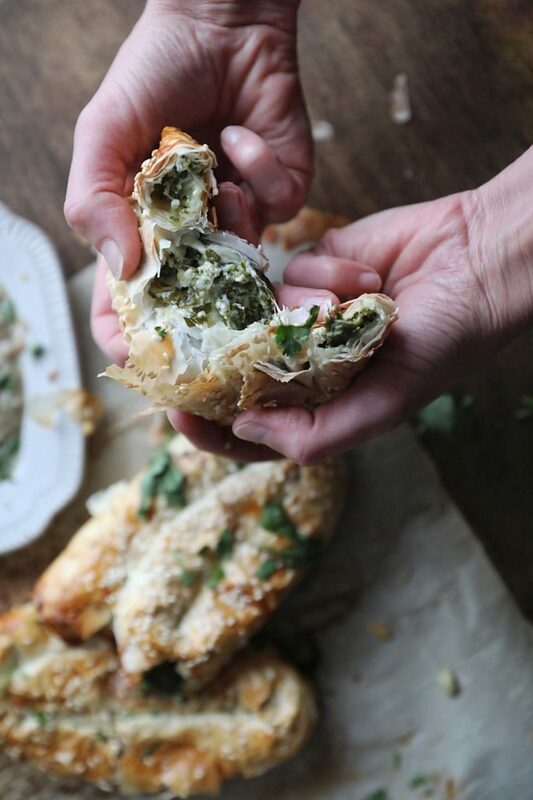 Flaky filo pastry filled with spinach, feta and gruyère cheeses . 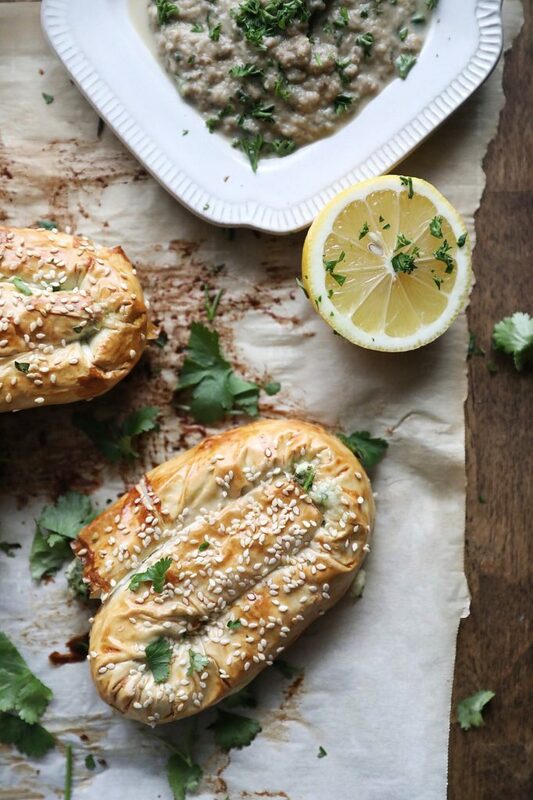 Great as an afternoon snack or light dinner. Pairs well with hummus, eggplant or salads. 1 Whole Egg Beaten and used as a wash. If frozen, let your filo dough defrost before unrolling to prevent braking. Once defrosted, unroll your filo dough and separate 5 layers from the stack. Chop the spinach finely and combine it with the feta and shredded cheeses. spread 1/3 of the spinach lengthways over the bottom of the stack of filo. Roll the sheets up over the filling to enclose. Rolling it over twice will fully enclose the filling. use a pizza cutter or knife to cut away the excess dough. Repeat these steps until the stack of dough is used up. One stack of 5 sheets will produce 3 borekas. 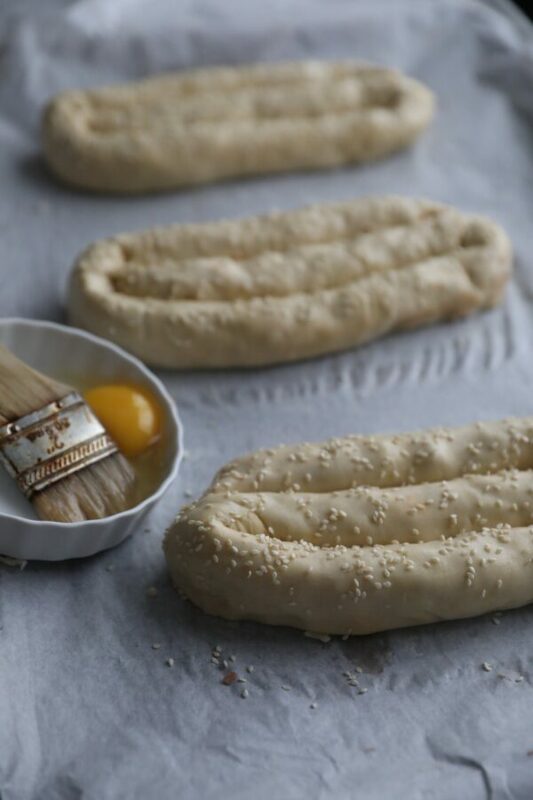 If its easier, you can divide the dough into thirds lengthways before rolling. I found it easier to cut as I go. 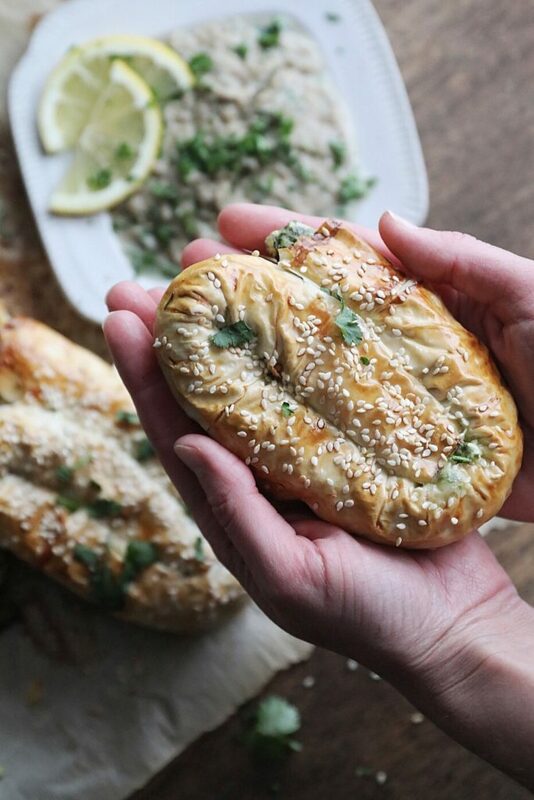 Once you have them rolled, gently coil them, brush with egg and garnish with sesame seeds. bake at 350 degrees for 10 minutes or until golden brown. Serve Warm.